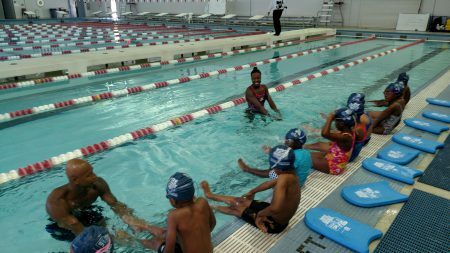 At the 2016 Olympics in Rio, Sugar Land’s Simone Manuel became the first African-American woman to win an individual gold medal in swimming. 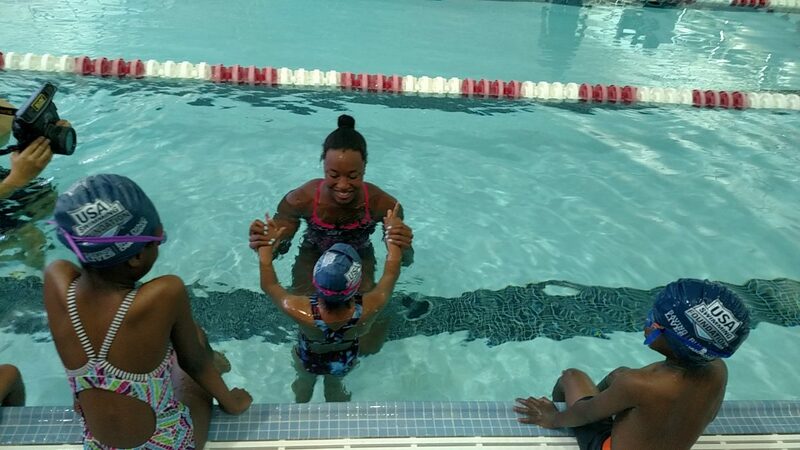 She talks with Houston Matters about her career and her mission to encourage more minorities to take up competitive swimming. 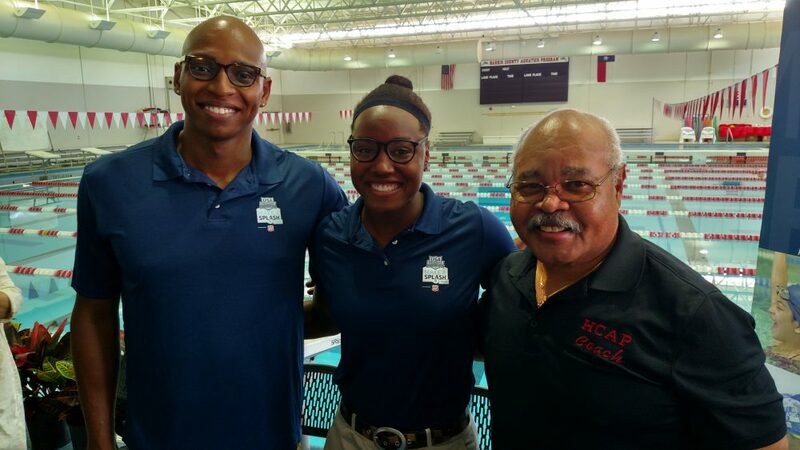 L-R: Olympic swimmers Cullen Jones and Simone Manuel pose with former competitive swimmer and Houston native Johnnie Means, who serves as director and head coach of the Harris County Aquatics Program, at an event on May 12, 2017. 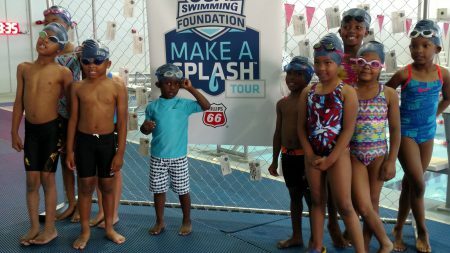 She was recently in town at the Harris County Aquatics Center’s Johnnie Means Swimming Pool near the Texas Medical Center for an event sponsored by the USA Swimming Foundation’s “Make a Splash” campaign, which promotes swimming safety for kids. 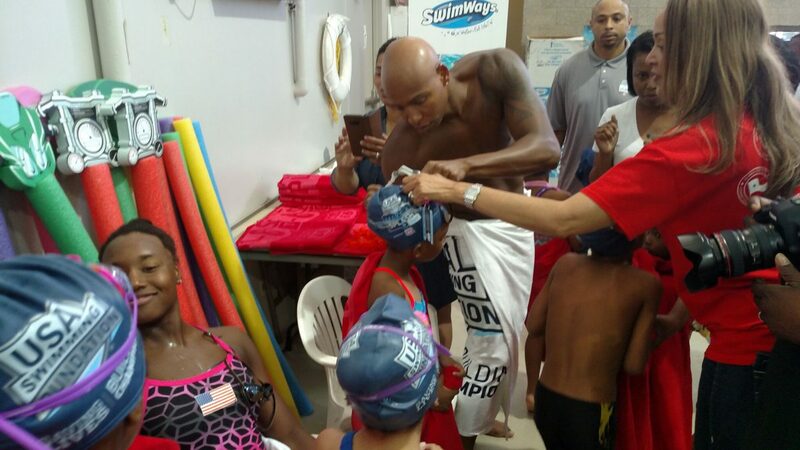 Manuel and fellow Olympic swimmer Cullen Jones got in the pool to give some neighborhood kids some swimming lessons. 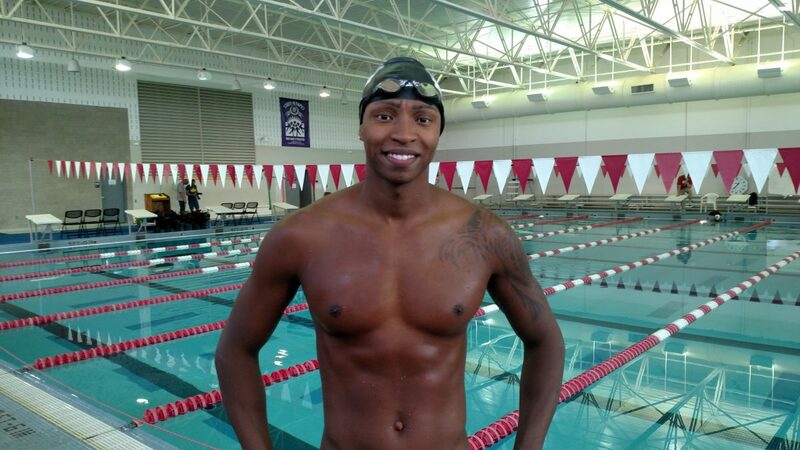 “I think it’s pretty amazing that me swimming in the pool for 53 seconds can help save a life,” Manuel said. 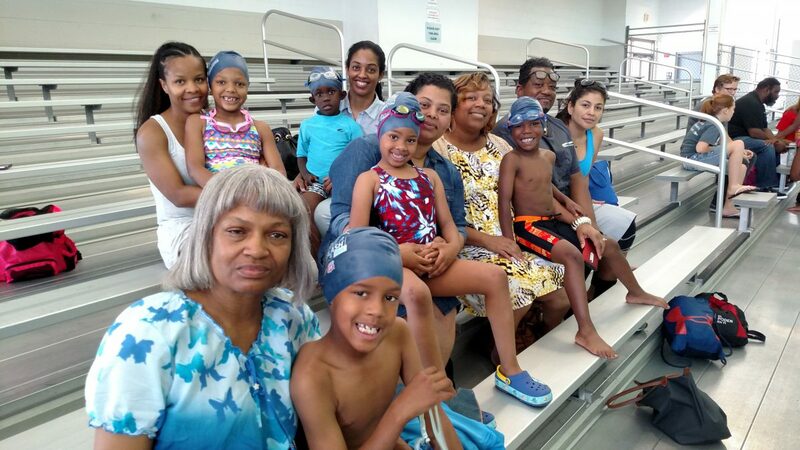 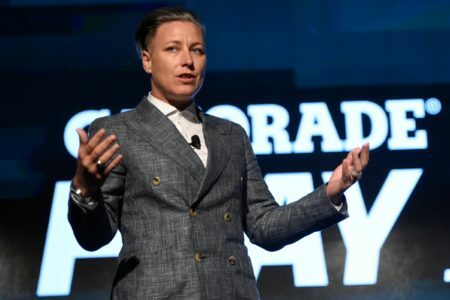 Afterward Abner Fletcher caught up with her to talk about her career and encouraging more minorities to take up competitive swimming. 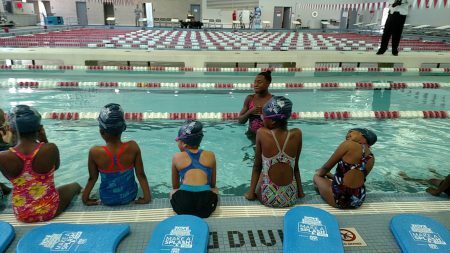 “We’re really starting to break the stereotype that minorities can’t swim,” she said.